The organizers will not be enforcing strict embargoes for this event, since it is relatively low key. We do however expect people to respect the principles of fair play and to avoid the competition areas as much as possible leading up to the event. And in particular, do not enter the competition areas with an orienteering map or to do any orienteering training. 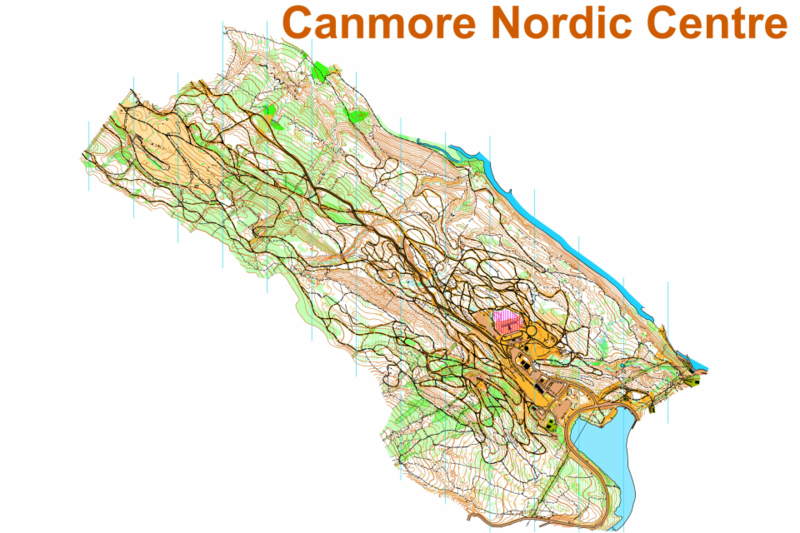 All parts of the Canmore Nordic Centre are embargoed. This means it is okay to go into the Nordic Centre to ride or hike or jog. 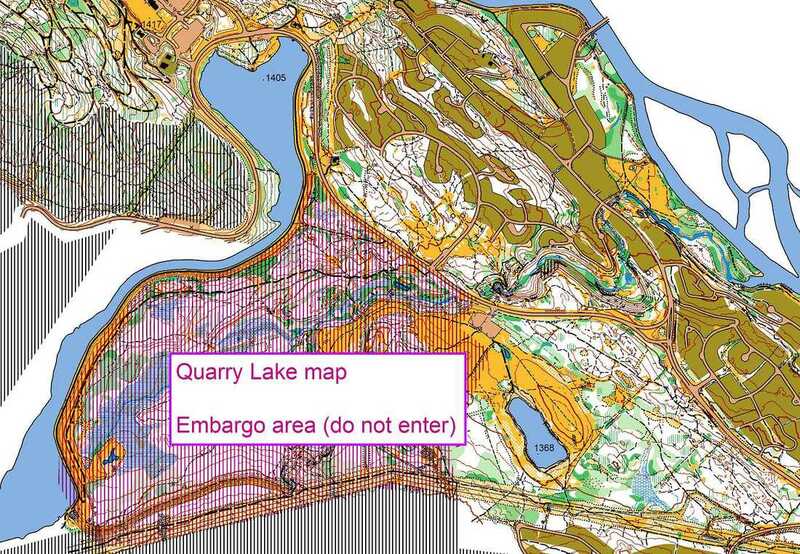 But it is not allowed to use an orienteering map, and especially not to do orienteering racing or training. It is not allowed to enter any of the marked area.